Singpho Falap means „tea of Singpho people“. Right after its unpacking, unforgettable smoky aroma will spread around and resemble a scout coming back after spending two weeks sitting at fire in the forest. Dry leaves have rather greenish to green – brown colour and an intense smoky aroma. Golden green in a cup with a distinct smoky aroma again. The flavour, on the contrary, is very delicate even smooth. This very delicate creamy nature of the tea flavour with a slight hint of smokiness, underlined with spicy tones and sweet woodness – that all creates a well balanced and mature impression. Preparation: We recommend to prepare in a small teapot around 150 ml. Put 3 g into it and pour with water just boiled. Steep for 10 - 15 seconds. Like this make more infusions and prolong the steeping time. 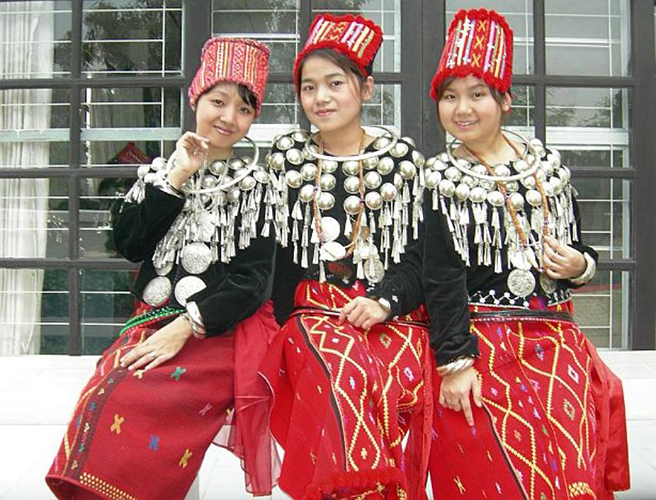 The Singpho (Chinese: Jingpo) ethnic group inhabits a vast area reaching from the most eastern areas of the Indian Arunachal Pradesh, upper Assam and Nágaland to northern Burma and Yunnan, China. Their knowledge of the effects and use of tea plants is probably the oldest in the world. They inhabit the area that is considered the original habitat of large-leaf tea shrubs known as Camelia Sinensis var. Assamica or Yunnan large-leaf species.